Your vacation has begun, and you want it to pass as slowly as possible. Sleep in. Forget the schedule -- the water is patiently waiting for you. 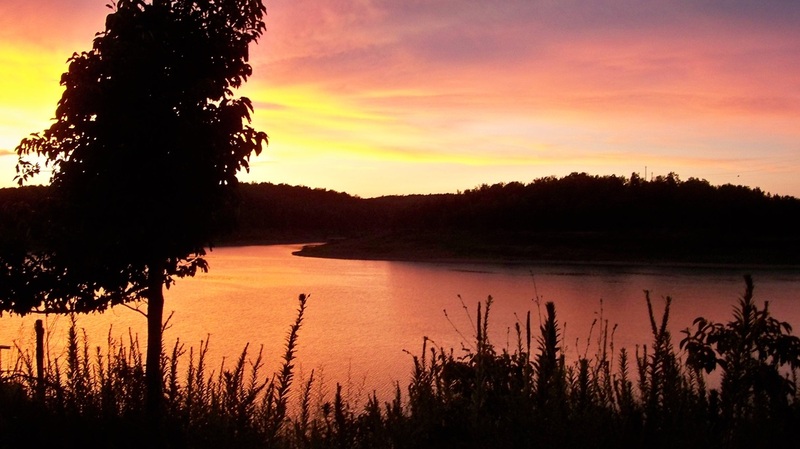 nights, mornings filled with birdsong, and the lovely, cool, clear, sparkling waters of Bull Shoals Lake give you the ideal setting for fun and relaxation. rented from us or one of the local marinas, you can spend your day cruising from cove to cove -- there are thousands of them -- and find your own private spot. 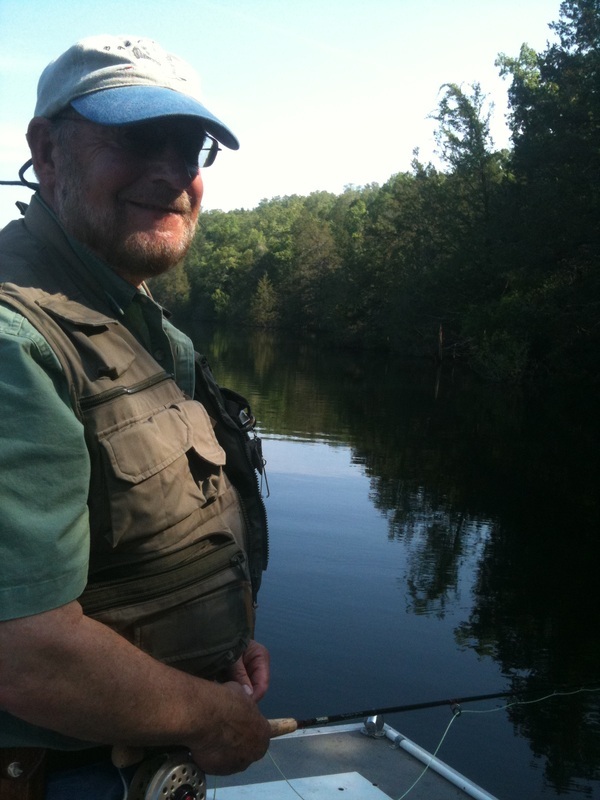 Your fishing rod connects you to the mysterious underwater world of largemouth and smallmouth bass, bream, walleye, crappie, catfish, trout and even the weird prehistoric gar fish now and then. boat, the lake provides endless hours of fun for sports of every kind. We have available two pontoons and a small fishing boat for rent by the half-day, day or week, and several marinas in the area rent a variety of sportier models as well. Be sure to check out the information on our Boats and Dock page. Even without a boat, the water is available to you whenever you wish. Bring your blow-up raft, donut or noodle and dawdle in the water at the boat ramp or at our dock. Stake out your territory on our rocky shore and tan in our steamy Ozark sunshine, then have a refreshing float while you sip a cool, tall drink. The informal swimming area at the public boat launch gradually drops from shallow to deep, so the little ones enjoy splashing there as well. One caveat: Bull Shoals Lake has little in the way of sandy beach -- a tough pair of water shoes is almost always necessary. As your day on the water winds down, return to the comfort of your cottage for a siesta or a videogame session before grilling your steaks--or perhaps your freshly caught fish?-- on the Weber outside your door. 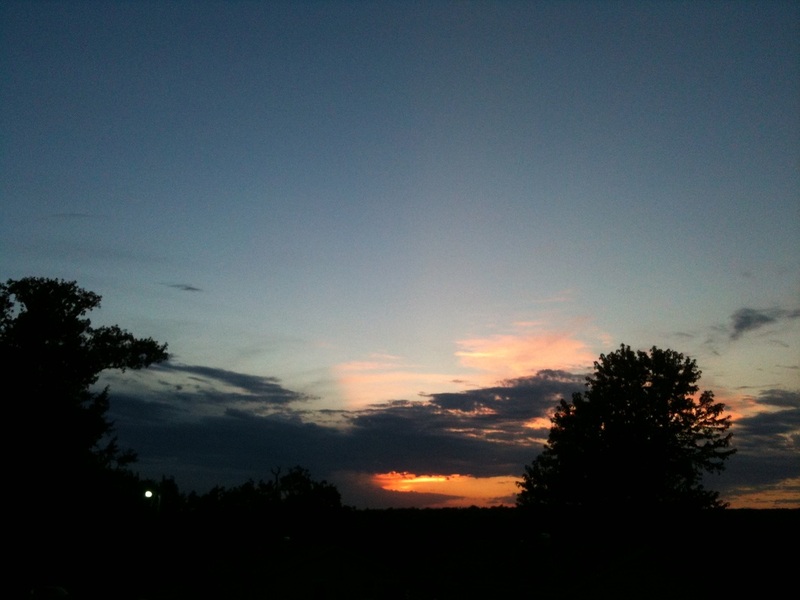 With no mosquitoes to pester you, you can hang out al fresco all evening if you feel like it. We've found that not having to deal with mosquitoes is one of the best features of vacationing in our little corner of the Ozarks. 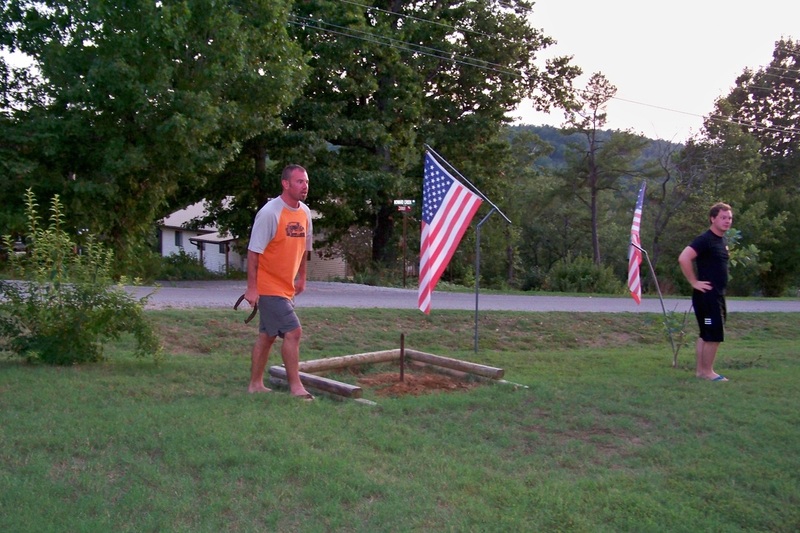 Try your hand at our horseshoe pit or set up the lawn game you brought from home, or get the kids to try one of the activities we suggest on our Ridgecrest for Kids page. Your active day becomes your restful night. As twilight approaches with its cooling breeze, you'll witness a sunset in a spectrum of colors across the sparkling waters. Good night. The beauty and mystery of the lake will remain until morning. 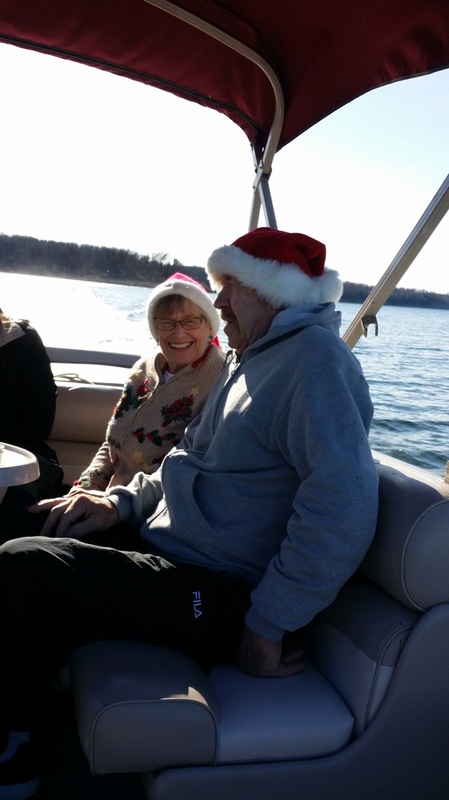 Christmas Day 2015: perfect day for a lake cruise!